Samuel Adams Sponsored Ticket includes admission to the participating venues for CCC2018 in Chicago, Food Tasting Specials All Day, Drink Specials, Sponsor Souvenirs, Venue “Holiday Plate” board for Raffle Contest, Venue Food Crawl Map, Funny Holiday Party Photo Props. City sidewalks, busy sidewalks, dressed in holiday style. In the air there's a feeling of Christmas. 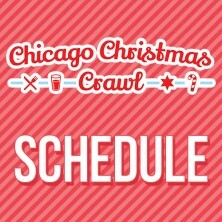 Samuel Adams Chicago Christmas Crawl, #CCC2018 is a walking themed event in which local venues showcase their food tasting and cocktail holiday specials. The event focuses on the spirit of the season in celebration of the holidays with food, family, friends, costumes and fun. 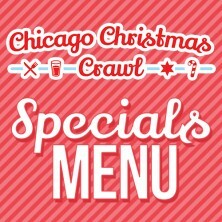 Each venue will provide a $3-$7 tasting option in which attendees can go on a “food crawl” throughout the Old Town Chicago Neighborhood. Participants will be given a “holiday plate” in which to collect stamps from venues for purchasing the specials and will be entered into a raffle for a variety of amazing prizes. 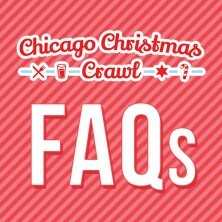 From Frames, Santa Hats, & Funny Holiday Photo Props, we have you covered for some classy Chicago tundra/vortex fun. It's a day you will remember for the rest of your life and truly an experience you can not miss. We wouldn't want you to have FOMO. Happy Holidays! 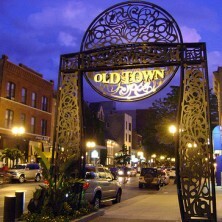 #CCC2017 is Coming to Old Town!